The driver turnover rate is on the rise across all industries. In fact, according to ATA Chief Economist, it was 20% higher in 2018 than it was in 2017. Due to the alarming turnover rates, many owners and operators of field service businesses are scrambling to hire and retain professional drivers. As a result, they often spend way too much hiring drivers, only to see them leave for their competitors. This vicious cycle is costing the field service industry billions of dollars every year. Breaking this cycle of recruiting and retaining drivers requires that we understand why so many drivers jump from one job to another and what a field service manager can do to improve the drivers’ commitment to the job. According to several driver satisfaction surveys, most of the commercial drivers quit their jobs because of better compensation elsewhere, the potential for a better work-life balance or conflicts with supervisors. How can you compensate for these factors, without breaking the bank, while, at the same time, making a major transformation of your operations? How can you improve driver satisfaction and increase driver retention? Read on to learn about some of the strategies you can follow to improve driver retention and maximize profits. Your company benefits when your drivers drive safely and arrive at the customers’ locations on time. So, why not acknowledge and incentivize the drivers? You can offer incentive programs to your drivers for six months of timely and safe driving. Another best practice is to reward those drivers who save money on fuel, which would benefit your bottom line as well. However, tracking fuel expenses and driver performances manually can be a lot of work. So, it is best to use a tool like a route planner that automates the job, with the best route planners offering a reporting and analytics feature. This feature gives you all the information you need to monitor, such as the average time spent at each stop, total distance and routes covered, number of stops made per day, average trip gas costs, total gas costs, and more. Watch the following video to learn more about the feature. Long story short, regardless of your company’s bottom line, tying bonuses or rewards to driver performance should be part of your driver retention policy. Irrespective of the amount of the incentive, the idea is to find a way to encourage professional drivers and reduce driver turnover. Drivers may leave your organization if you provide them with poor routes since poorly optimized routes mean they will be on the road for longer and make fewer stops. This will then affect their pay as they cannot make more stops to earn incentives. Certainly, no driver would be agreeable to this and would rather leave your organization. A manual route planning process cannot guarantee accuracy. 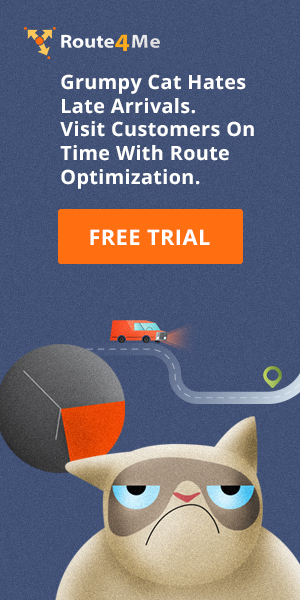 So, we suggest you use route optimization software. Such software will give you 100% accurate and well-optimized routes in seconds while factoring in weather, traffic, one-ways, avoidance zones, sunrise/sunset, and other features that can affect your drivers’ routes. In this way, your drivers will always reach their destinations on time. The best part is that routing optimization software ensures a balanced workload. This means that no field rep will be overworked with too many routes and no one will be waiting for the end of the workday to clock out. Everyone will get an equal opportunity to earn and grow which will improve driver satisfaction. But, that is not all a route planner has to offer. To learn and use the full potential of such software, read the benefits of dynamic routing technology. One of the primary reasons for driver shortage is that novice drivers do not want to put in long hours and days away from home. So, allowing both your male and female drivers to spend weekends at home with their families can help you improve driver retention. For example, you can offer benefits, such as two days of family time for every 3,000 miles or 48 hours of driving. Your human resources department can also devise a rotation arrangement so that each driver can spend two weekends at home for every one weekend spent in service. Such a strategy can go a long way to increase driver satisfaction as you take effective steps to show that you value your drivers’ family commitments. All in all, it will lead to productive and committed drivers. Health insurance is a big concern for drivers. This is because of the stressful and hectic nature of the job means that a professional driver is more prone to health problems than other workers. Unfortunately, the majority of commercial drivers do not have health insurance. This is where you can make a difference. You can offer your drivers and their families medical coverage and have an edge over your competitors. You can even pay premiums on life insurance and short-term disabilities if that suits your budget better. Drivers play an important role in the economy, yet they are one of the least respected professions. Also, a number of studies have proven that employees want respect and appreciation from their company, even more than they want increased compensation. And, drivers feel the same. So, treating them with respect can go a long way to earn their loyalty. This means that you can set your field service business apart by building an employee-centered culture that values and acknowledges the hard work of your drivers. To do so, you must offer your drivers the same benefits that you provide your other employees, emphasize the importance of communication with your drivers, invite them to share ideas on how to make your company more successful, and let them know that you appreciate their efforts. So, what strategies do you follow to improve driver satisfaction? Do you have any questions? Please feel free to leave your comments below. 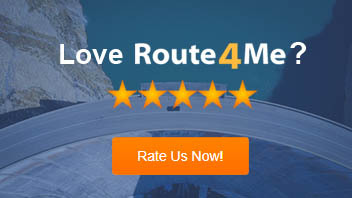 How can a route planner improve driver satisfaction? How can you improve the work-life balance of your drivers? How can you monitor driver performance?